The Vaccine Industry measures human life in terms of the percentages of profits to be gained. They achieve this end by routinely skewing preliminary vaccine trial data; subsequently burying or denying reports of vaccine-derived neurological trauma & neuro-developmental disorders affiliated directly with the shots. Vaccine Manufacturers are legally immune from prosecution for infant deaths in cases involving potential vaccine related trauma. So as a result, mainstream Pediatricians, who admittedly receive financial kickbacks for pushing Big Pharma products on their patients, (a clear conflict-of-interest type relationship which is fostered beginning in Medical school through seminars, promotions, honorariums, grants & other lucrative incentives; an alliance which extends to private/public clinics & hospitals through major donations ie. supplying medical equipment, upgrading infrastructure, passing off free samples etc; including highly coveted medical research positions in the field) are subsequently hamstrung in their capacity and/or willingness to attribute any association to these shots, despite often substantial evidence pointing to an immediate causal link. Regrettably, most Pediatricians are completely in dark on these crucial aspects of vaccine-derived synergistic heavy metal/excipient derived toxicity associated with early childhood immunization, the acute vulnerability of a baby’s brain & central nervous system properties (Myelin Sheath, Blood-brain barrier, Meninges). Almost all mainstream Pediatricians are loathe to promote the benefits of holistic health, as it contravenes the bottom line business practice of peddling prescription drugs & vaccines on the community at large. Self-reliance & optimal natural immunity is not in their best interest. Their education is specifically limited & tailored to the scope of that which supports the advancing of the Industry food-chain of profits, under the banner of “herd immunity”. The human cost is typically overlooked and under-reported. 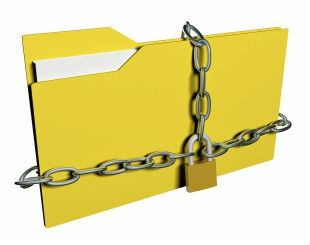 The following confidential case-files pertaining to the GlaxoSmithKline vaccine, Infanrix hexa™, were recently uncovered; a glaring exposé into Vaccine Industry malfeasance, which reveal the systemic cover-up, deferral & denial of responsibility for vaccine-related premature deaths (among infants) by vaccine manufacturing giant GlaxoSmithKline. Bare in mind, this startling evidence only represents the tip of the iceberg, given the fact that a mere 5-10% of vaccine related adverse reports are ever submitted by families – what is termed ‘underreporting’. The average age of deaths among infants reported by the attending Pediatricians range from 7-weeks-old to 4-months-old. 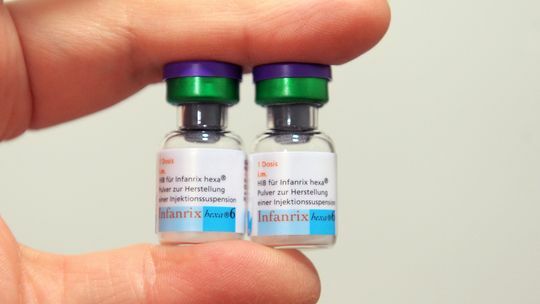 All the infants received multiple injections of Infanrix hexa™, averaging 2-3 doses. All reported deaths occurred within (2-11) days of receiving multiple vaccines, attributed to the “preferred term” Sudden infant death syndrome (SIDS), with subsequent autopsies found to be either “inconclusive” or showing “no obvious cause of death”. Adverse effects compiled include the following: Cardiac arrest, Convulsion, Hypokinesia, Depressed level of consciousness, Mouth haemorrhage, Nasopharyngitis, Asphyxia, Apnoeic attack, Pallor, Oxygen saturation decreased, Heart rate decreased, Sepsis, Viral infection, Pyrexia, Loss of consciousness, Cyanosis, Metabolic disorder, Ataxia, Balance disorder, Diplopia, Strabismus, Nervous system disorder, Adverse drug reaction, Death. Case B0601431A – MedDRA Preferred Term (Sudden infant death syndrome): This case was reported by a healthcare professional and described the occurrence of cot death in a 3-month-old female who was vaccinated with the 2nd doses of Infanrix hexa™ and Prevenar on 21 October 2009. Two days after vaccinations, the subject died in bed. The parents found the baby lying on the belly. Autopsy did not reveal any cause of death. Company comment: Suspected case of SIDS, autopsy did not reveal clear cause of death. No details on medical history available. The subject received concomitant vaccination with Prevenar. Case B0605003A – MedDRA Preferred Terms (Cardiac arrest, Convulsion, Hypokinesia): This case was reported by the Italian regulatory authority and described the occurrence of cardiac arrest in a 2-month-old female who was vaccinated with an unspecified dose of Infanrix hexa™ on 10 August 2009. Less than one day after vaccination, the subject experienced convulsions. The subject was hospitalised from 14 August until 19 August 2009. At the time of reporting, the event was resolved with sequelae. Last convulsion episode was on 18 October 2009. The baby showed a regular growth but a light motor retardation in respect of the age. Her weight was 7.10 kg. Diagnostic tests as karyotype, ultrasonography, computerized axial tomography and nuclear magnetic resonance were negative. She was treated with Luminalette. According to the follow up information received on 01 June 2010, the subject died due to a cardiac arrest at an unspecified time after vaccination. Company comment: (Case of Sudden Unexpected Death in Infancy (SUDI). The subject had a history of convulsions since 2-months of age, which started less than one day after vaccination with Infanrix hexa™. The final diagnosis was not reported, however, the child received anticonvulsive treatment. Cause of death was reported as cardiac arrest, but circumstances of death were not available. It was unknown whether an autopsy was performed. Case B0608494A – MedDRA Preferred Terms (Sudden infant death syndrome, Depressed level of consciousness, Mouth haemorrhage, Nasopharyngitis): This case was reported by a healthcare professional and described the occurrence of cot death in a 14-week-old male who was vaccinated with the 2nd dose of Infanrix hexa™ and Prevenar on 12 November 2009. The child was born at term and weighed 4120 g. The child had a history of viral infection before vaccination with the 1st dose of Infanrix hexa™ and Prevenar. In the beginning of November, 2 weeks before death, the subject had a common cold. The subject did not experience any adverse events after vaccination. Four days after vaccination with Infanrix hexa™ and Prevenar, the subject was brought to day care centre. He had no fever. He burped well after being fed and was put into bed at 9:25 lying on the abdomen (with permission of the mother) and he was being checked every 20 minutes. At 12:00, the subject was nonresponsive and had blood in his mouth. Reanimation was started immediately and the the child was admitted to hospital. The child died on 16 November 2009 from sudden infant death syndrome. An autopsy was performed and did not reveal any cause of death found in autopsy or on toxicological investigation. Company comment: Possible case of SIDS. The subject had viral infections as medical history. No adverse events were reported after vaccinations. The subject was placed in prone position into bed. No clear cause of death was found on the autopsy. Case B0639243A – MedDRA Preferred Terms: (Sudden infant death syndrome, Asphyxia): This case was reported by a physician and described the occurrence of sudden infant death in a 7-week-old female four days after vaccination with unspecified doses of Rotarix and Infanrix hexa™. The reporter informed that the subject experienced suffocation during sleep. Company comment: Case of SUDI or suspected SIDS. No medical history and circumstances of death were reported. The subject, according to the reporter, experienced asphyxia during sleep. It was unknown whether an autopsy was performed. Case B0657890A – MedDRA Preferred Terms (Sudden infant death syndrome, Apnoeic attack, Pallor, Oxygen saturation decreased, Heart rate decreased): This case was reported by a healthcare professional and described the occurrence of sudden infant death syndrome in a 2-month-old male who was vaccinated with unspecified doses of Infanrix hexa™, RotaTeq and Prevenar on 27 April 2010. Concurrent medical condition included premature birth at 26 weeks of gestation. Twelve hours after vaccination, the subject went dusky and experienced apnoea attack, reduced oxygen saturation and decreased heart rate. The subject was hospitalised. Relevant test results included: heart rate more than 100 bpm, pO2 over 94 %, normal cranial ultrasound and ophthalmological examination. The subject was treated with mechanical ventilation, stayed under observation for 48 hours and was discharged. Three days after discharge, the subject had another episode of apnoea and could not be resuscitated. The subject died from sudden infant death syndrome 5 days after vaccination. Company comment: Case of SUDI. The subject died due to apnoea attack, likely related to his severe prematurity. It was unknown whether an autopsy was performed. Case D0064259A – MedDRA Preferred Terms (Cardiac arrest, Sudden infant death syndrome, Sepsis, Viral infection, Resuscitation, Pyrexia, Loss of consciousness, Cyanosis): This case was reported by the German regulatory authority and described the occurrence of cardiovascular arrest in a 3-month-old male who was vaccinated with the 2nd dose of Infanrix hexa™ and Prevenar on 29 September 2009. The subject’s parents have separated about two weeks prior to the events. The subject was cared for by the father with the help of his sister-in-law and mother-in-law. The subject did not experience any adverse event between date of vaccination and date of death. Approximately three days post-vaccination, in the morning around 07:30 the subject appeared normal. About half an hour later, at around 08:00, the subject was supposed to be fed with a bottle. The subject was found unconscious and the subject’s body was blue (cyanosis). Upon arrival of an emergency physician the pupils were medium wide, no pulse could be determined and oxygen saturation could not be measured. The subject was intubated and cardiopulmonary resuscitation was started. Under ongoing resuscitation the subject was transferred to a hospital. In hospital the subject was treated with adrenaline and atropine. Echocardiography and ECG both showed no detectable heart reaction. Body temperature, taken in the ear, was 39.4 degC. Resuscitation was without success and was stopped. An autopsy was performed, but results were not conclusive. According to autopsy both SIDS and viral infection were possible causes of death. External force and shaken baby syndrome were excluded by autopsy. Company comment: Case of SUDI. The subject died due to cardiac arrest 3 days after multiple vaccinations. The autopsy results were inconclusive and considered SIDS and viral infection as possible causes of death. Case D0064689A – MedDRA Preferred Term (Sudden infant death syndrome): This case was reported by the German regulatory authority and described the occurrence of SIDS in 3-month-old male subject who was vaccinated with unspecified doses of Synflorix and Infanrix hexa™ on 04 November 2009. The subject has no underlying or concurrent medical conditions or other risk factors. The subject has received previous vaccination with Synflorix™ and Infanrix hexa™. It was unknown how previous vaccinations were tolerated. Approximately nine days post-vaccinations, the subject was found lifeless in bed in supine position covered by a cushion/pillow. An emergency physician was only able to certify death. Police reported that the children’s room was severely overheated and in the whole apartment people had been smoking. Autopsy was performed and showed age-corresponding state of development and very good state of care. Multipe punctual haemorrhages up to the size of a pinhead were found under the thymus capsule, subepicardial and on the surface of the lungs. Distinct disorder of blood distribution was seen in the lungs as well as increased fluid and blood content in the lungs and foam in the respiratory tract (pulmonary edema). Neither signs of external force by a third party nor signs of shaken baby syndrome have been detected. No signs of organic malformation have been detected. The cause of death could not be unambiguously determined. Punctual haemorrhages under the thymus capsule, subepicardial and on the surface of the lungs were normally seen within the scope of SIDS and therefore the autopsy performing physicians considered SIDS. Possible risk factors associated with SIDS included coverage with a pillow, severely overheating, not feeding with breast milk and passive smoking. Furthermore autopsy showed increased water retention of the lungs as well as distinct disorder of blood distribution within the lungs, which could be signs of a beginning pulmonary infection. Microbiological examinations, performed on 20 November 2009, showed solitary St. aureus in both pulmonary swabs and a single St. aureus colony in the spleen swab as potential infectious agent, but this bacterium was also known as normal bacterial flora of the upper respiratory tract. All other bacteria found belong either to physiological intestinal flora or were normal parts of the throat and skin flora. Therefore infectious events could be excluded with some probability. Company comment: Case of SUDI. The subject died 9 days after multiple vaccinations. The autopsy results were inconclusive and considered SIDS (in presence of numerous risk factors) and pulmonary infection as possible causes of death. Case D0065445A – MedDRA Preferred Term (Sudden infant death syndrome): This case was reported by a physician and described the occurrence of SIDS in a 3-month-old female one day after vaccination with the 1st dose of Infanrix hexa™ and Prevenar on 09 December 2009. The subject’s development and weight gain were normal, her medical history was unsuspicious. She was breast-fed for three months. Postvaccinations the subject did not experience fever. Next morning after vaccinations, the subject was normally drinking and was put in bed. Approximately two to three hours later, the subject was found lifeless in bed in supine position. The subject died on 10 December 2009 from SIDS. An autopsy was performed, but no results were available. Company comment: Suspected case of SIDS. The subject died 1 day after multiple vaccinations. Subject’s medical history was unsuspicious, no adverse event were reported after vaccinations. Autopsy was performed, but the results were not available. Case D0066068A – MedDRA Preferred Term (Sudden infant death syndrome): This case was reported by a physician and described the occurrence of possible SIDS in a 3-month-old male who was vaccinated with unspecified doses of Infanrix hexa™ and Prevenar on 29 December 2009. The subject had three healthy siblings. He was a healthy term baby and was breast-fed. The subject’s mother did not smoke. The subject had received the last meal, consisting of mother’s milk on 29 December 2009 in the evening. Later on in the evening, the subject was found dead under unknown circumstances in bed. An autopsy was performed. The results of autopsy were inconclusive and showed no obvious cause of death. Therefore cause of death was considered to be SIDS. Company comment: Possible case of SIDS. The subject died less than 1 day after multiple vaccinations. Subject’s medical history included healthy term baby, without underlying condition. Autopsy did not reveal clear cause of death. Case D0067790A – MedDRA Preferred Terms (Sudden infant death syndrome, Death, Apnoea, Cardiac arrest, Loss of consciousness, Resuscitation): This case was reported by the German regulatory authority and described the occurrence of SIDS in a 9-week-old male who was vaccinated with Infanrix hexa™ and Prevenar on 31 March 2010. Complication during pregnancy included cranial haemorrhage of the mother due to cerebral artery aneurysm in the 19th week of gestation. The subject was born in the 33rd week of pregnancy by Caesarean section. At that time the subject was immature with a birth weight of 1805g with mild respiratory distress syndrome. Postnatal the subject showed good adaptation, but chest X-ray, performed on 28 January 2010, showed mixed picture of mild neonatal respiratory distress syndrome and wet lung. Repeated sonography and neonatal screening were normal. Concurrent medications included colecalciferol and iron salt. For the third child health check, performed on 04 March 2010, the subject showed normal development concerning weight, length and head circumference. The subject showed no pathologic findings except mild hydrocele. However, according to percentile curve of the WHO the subject was in reduced nutritional condition with a weight of 3700g and a height of 55cm. Approximately 3 days after vaccinations in the morning the subject experienced apnoea. When the emergency care team arrived the subject was unconscious. Cardiac arrest with apnoea and asystole was diagnosed. Resuscitation was unsuccessful. Concurrent medical conditions included old contusion and hematoma on right side of chest. An autopsy was performed and macroscopically, did not reveal unambiguous cause of death. All autopsy findings were suggestive for SIDS. The findings not consistent with SIDS (skin fissures in the corner of mouth, ecchymoses in area of central chest wall, hemorrhage in capsule of adrenal gland and kidney) can be explained with plausibility by long and continuous resuscitation. Further toxicological examination could not identify the cause of death. According to the report on the histological examination, results largely confirmed the findings of the autopsy. Besides unspecific signs of death, punctuate haemorrhage of the organs’ connective tissue coatings and pulmonary emphysema were considered the essential findings. Acute emphysema could be interpreted as evidence of suffocation. It was concluded that definite cause of death could be identified, neither in histological examinations nor in toxicological tests. It was discussed that the toxicological tests covered a certain spectrum of substances only and would miss some rare and exceptional substances. Because of the combination of pulmonary emphysema and the fissures at the left corner of the mouth, which had been observed during the autopsy, death due to suffocation following violent obstruction of respiratory orifices could not be excluded. Likewise it could not be excluded that these findings were caused during the reanimation procedures. Company comment: Case of SUDI. Preterm subject, with respiratory distress in medical history, died approximately 3 days after multiple vaccinations. Autopsy did not reveal clear cause of death. Majority of findings were within SIDS, however violent obstruction of respiratory tract could not be excluded. Case B0661542A – MedDRA Preferred Terms (Metabolic disorder, Ataxia, Balance disorder, Diplopia, Strabismus, Nervous system disorder): This case was reported by a physician and described the occurrence of ataxia in a 6-month-old male who was vaccinated with the 3rd doses of Infanrix hexa™ and Prevenar in March 2010. The subject’s medical history included episodes of shaking head, arms and legs several times a day, which occurred at the age of 5 months. Five days after vaccinations, the subject experienced ataxia, instability and diplopia (described as strabismus). The physician suspected a possible neurological alteration. The subject was hospitalized and some relevant tests (NMR, ECG, CSF, other unspecified laboratory tests, nasopharyngeal exudates) were performed and showed normal results. Catecholamine and muscular biopsy results were pending. The ataxia remained until the age of 9 months. The shaking moves have repeated in some occasions. The subject was hospitalized in an intensive care due to a possible aspiration from 16 to 24 June 2010. He underwent EEG in July 2010 and it showed 3 lesions compatible with metabolic disorder. The final diagnosis was a possible metabolic disease with very limited clinical picture. According to the follow-up information received in August 2010, the subject died in July 2010 due to a possible metabolic disorder of a mitochondrial origin. Company comment: The subject died due to a possible metabolic disorder of a mitochondrial origin several months after 3d vaccination with Infanrix hexa™ and Prevenar. It was unknown whether an autopsy was performed. Case B0599802A- MedDRA Preferred Term (Death, Adverse drug reaction): This case was reported by a healthcare professional and described the occurrence of death NOS (not otherwise specified) in a 4-month-old female who was vaccinated with the 3rd dose of Infanrix hexa™ and Prevenar on 15 October 2009. Eleven days after vaccination the subject experienced death NOS. The subject experienced adverse drug reaction and was found dead in her bed after her afternoon nap. The subject had no concomitant medication and no relevant medical history. The subject was transferred to hospital. Hospital report was pending. No autopsy was performed. Follow-up information has been requested. Case D0063296A – MedDRA Preferred Term (Death): This case was reported by the German regulatory authority and described the occurrence of death in a 12-week-old male who was vaccinated with unspecified doses of Infanrix hexa™ and Prevenar on 9 January 2006. The subject‟s mother suffered from epilepsy. The subject was exposed in utero to levetiracetam during about the first three months of pregnancy. The rest of pregnancy and birth was inconspicuous, except for fracture of a clavicle. Concurrent medical conditions included agitation and crying abnormal (whiny baby). Approximately 11 days post-vaccination, the subject died. The cause of death was not further specified. It was unknown whether an autopsy was performed. Case D0069211A – MedDRA Preferred Term (Death): This case was reported by a physician and described the occurrence of unspecified death in a child of unspecified gender who was vaccinated on an unspecified date with an unspecified 6-valent vaccine and unspecified pneumococcal vaccine (manufacturers unspecified). One day after vaccinations, the subject was hospitalised to a paediatric intensive care unit and reanimated, but died from unknown cause. An autopsy was performed. Follow-up information has been requested. Infanrix hexa™ contains the following antigens adsorbed onto aluminium salts: diphtheria toxoid, tetanus toxoid, three purified pertussis antigens pertussis toxoid (PT), filamentous haemagglutinin (FHA) and pertactin (PRN; 69 kiloDalton outer membrane protein) , the purified major surface antigen (HBsAg) of the hepatitis B virus (HBV) and purified polyribosyl-ribitol-phosphate capsular polysaccharide (PRP) of Haemophilus influenzae type b (Hib), covalently bound to tetanus toxoid. It also contains three types of inactivated polio viruses (type 1: Mahoney strain; type 2: MEF-1 strain; type 3: Saukett strain). The tetanus and diphtheria toxoids are obtained by formaldehyde treatment of purified Corynebacterium diphtheriae and Clostridium tetani toxins. The acellular pertussis vaccine components are obtained by extraction and purification from phase I Bordetella pertussis cultures, followed by irreversible detoxification of the pertussis toxin by glutaraldehyde and formaldehyde treatment, and formaldehyde treatment of FHA and PRN. The diphtheria toxoid, tetanus toxoid and acellular pertussis components are adsorbed onto aluminium salts. The surface antigen of the HBV is produced by culture of genetically-engineered yeast cells (Saccharomyces cerevisiae) which carry the gene coding for the major surface antigen of the HBV. This HBsAg expressed in yeast cells is purified by several physicochemical steps. The HBsAg assembles spontaneously, in the absence of chemical treatment, into spherical particles of 20 nm in average diameter containing nonglycosylated HBsAg polypeptide and a lipid matrix consisting mainly of phospholipids. Extensive tests have demonstrated that these particles display the characteristic properties of the natural HBsAg. The three polioviruses are cultivated on a continuous VERO cell line, purified and inactivated with formaldehyde. The Hib polysaccharide is prepared from Hib, strain 20,752 and after activation with cyanogen bromide and derivatisation with an adipic hydrazide spacer is coupled to tetanus toxoid via carbodiimide condensation. After purification the conjugate is adsorbed on aluminium salt, and then lyophilised in the presence of lactose as stabiliser. Infanrix hexa™ meets the World Health Organisation requirements for manufacture of biological substances, of diphtheria, tetanus, pertussis and combined vaccines, of hepatitis B vaccines made by recombinant DNA techniques, of inactivated poliomyelitis vaccines and of Hib conjugate vaccines. Infanrix hexa™ is indicated for primary and booster immunisation against diphtheria, tetanus, pertussis, hepatitis B, poliomyelitis and Haemophilus influenzae type b in infants from the age of 6 weeks and may be given to infants who received a first dose of hepatitis B vaccine at birth. The primary vaccination schedule (such as 2, 3, 4 months; 3, 4, 5 months; 2, 4, 6 months; 3, 5 and 11 or 12 months; 6, 10, 14 weeks) consists of three doses of 0.5 ml. An interval of at least one month should be respected between doses. If it is intended to administer Infanrix hexa™ according to the EPI schedule (Expanded Program on Immunisation; 6, 10, 14 weeks of age), then the vaccinee must receive a dose of hepatitis B vaccine at birth. A 0.5 ml dose of the vaccine contains not less than 30 IU of adsorbed diphtheria toxoid, not less than 40 IU of adsorbed tetanus toxoid, 25 mcg of adsorbed PT, 25 mcg of adsorbed FHA, 8 mcg of adsorbed pertactin, 10 mcg of adsorbed recombinant HBsAg protein, 40 D-antigen units of type 1 (Mahoney), 8 D-antigen units of type 2 (MEF-1) and 32 D-antigen units of type 3 (Saukett) of the polio virus. It also contains 10 mcg of adsorbed purified capsular polysaccharide of Hib (PRP) covalently bound to 20-40 mcg tetanus toxoid (T). 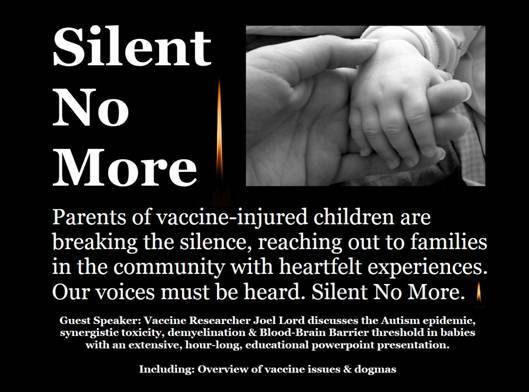 The Vaccine Resistance Movement is currently launching its first ever educational DVD, the ‘Silent No More Project‘: where-in parents of vaccine-injured children reveal intimate details of the impact vaccines had on their child’s primary early development. This ground-breaking event marked the first big push forward following the recent, highly controversial ‘VRM Vaccine Summit’.